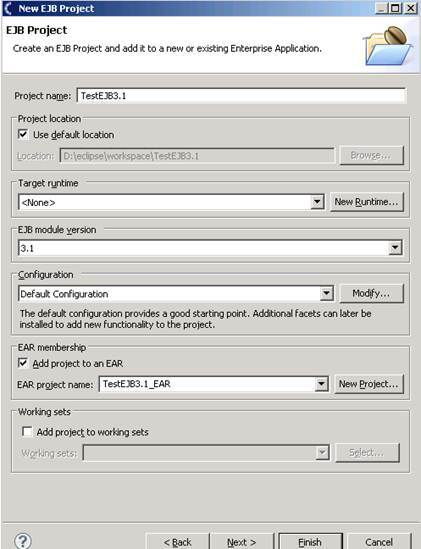 We will be using eclipse for developing a sample EJB project which will be exported as an EAR file and deployed on Websphere Application Server. 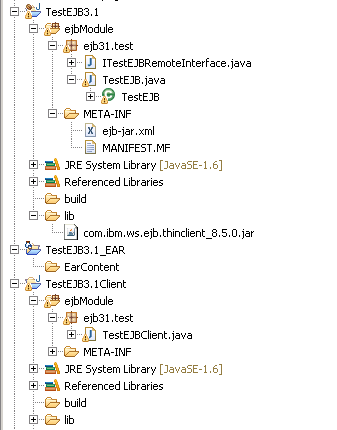 Testing will be done using a standalone Java client which will invoke the remote EJB interface and display the results. The sample EJB for this article is a simple stateless session bean that searches for the passed-in name in a default list and displays if that name exists in the list or not. 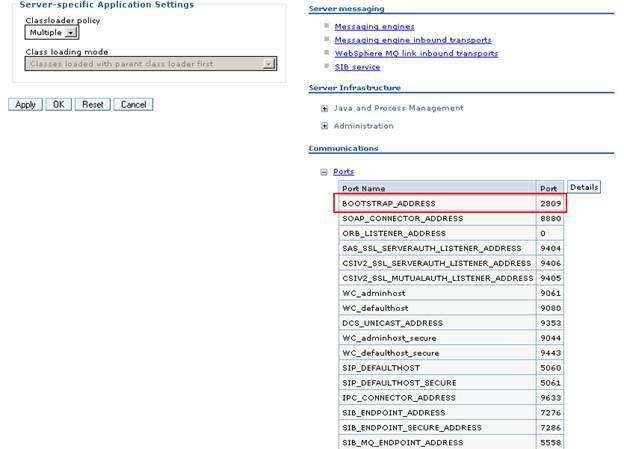 Step 2: In this step, we will create the EJB Remote Interface from eclipse. In the above code, we have created a simple Remote Interface having checkNames() method which will be implemented in the stateless session bean. Step 3: In this step, we will create a session bean which is stateless. Note the @Stateless annotation added to the bean. This bean holds a list of names in a list, performs a check if the passed in name is present in the list or not and returns true or false. EJB display name is set as TestEJB3.1 as shown above. Step 5: In this step, we will create another project to write the standalone java client. The above test client passes a name to the checkNames method of the stateless session bean and returns a result saying whether that name is present in the list or not. We also need to create EJB stubs for the standalone client which can be done using createEJBStubs.bat file found under <WAS_HOME>/bin directory. Processing the D:\temp\TestEJB3.1.jar input file. If we look at the TestEJB3.1.jar file, new Stub class is added. The TestEJB3.1.jar file needs to be added in classpath of standalone client project. Any non-Websphere application server environment like Tomcat, Weblogic,etc. Step 8: In this step, we will invoke remote EJB from the client that was created in Step 4. JSAS1480I: Security is not enabled because the ConfigURL property file is not set. As we can see from above, we get NameNotFoundException if we perform incorrect JNDI name lookup. This is the most frequent error which we come across while performing context lookup. Finally, in this article, we have learnt invoking a remote EJB 3.x application deployed on Websphere Application Server from a standalone java client. I have done my bachelor in Computer Science and I am well versed with programming languages such as JAVA, C#, html and done courses on Android development. What did you think of this post? To have full access to this post (or download the associated files) you must have MrBool Credits. in this case you will buy only this video by paying the full price with no discount. This subscription is ideal if you want to download few videos. In this plan you will receive a discount of 50% in each video. Subscribe for this package! This subscription is ideal if you want to download several videos. In this plan you will receive a discount of 83% in each video. Subscribe for this package! You must be logged to download. [Close] You must be logged to give your feedback. This is a closed post. You need have acess to enable the download links.